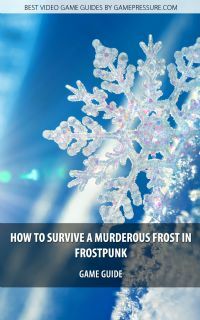 Frostpunk Game Guide Strategy Game Guide and Walkthrough for Download. Get your special mobile or desktop version of our game guide. Our guide explains basic mechanisms of the game and contains a walkthrough of all scenarios. Also, it provides advice and tips on how to start the game. You will learn about citizens' happiness, resources, technologies, Automatons, and the Book of Laws.